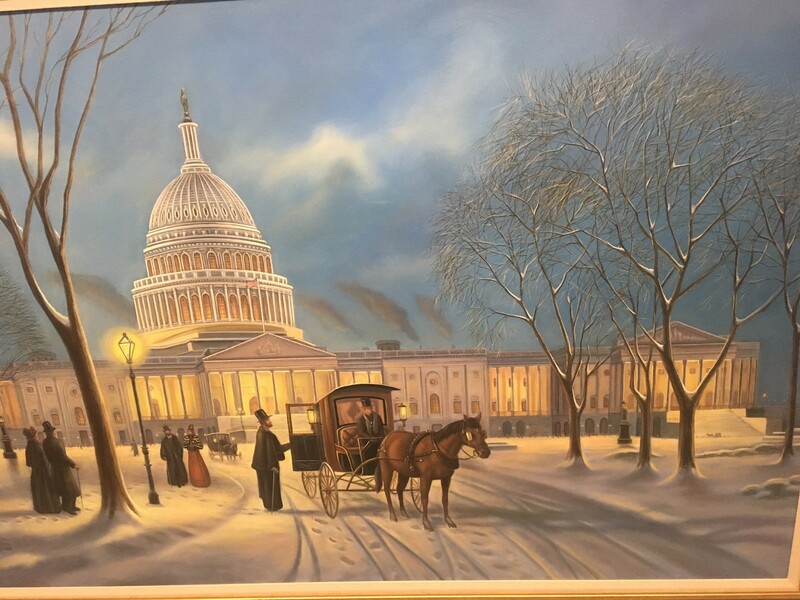 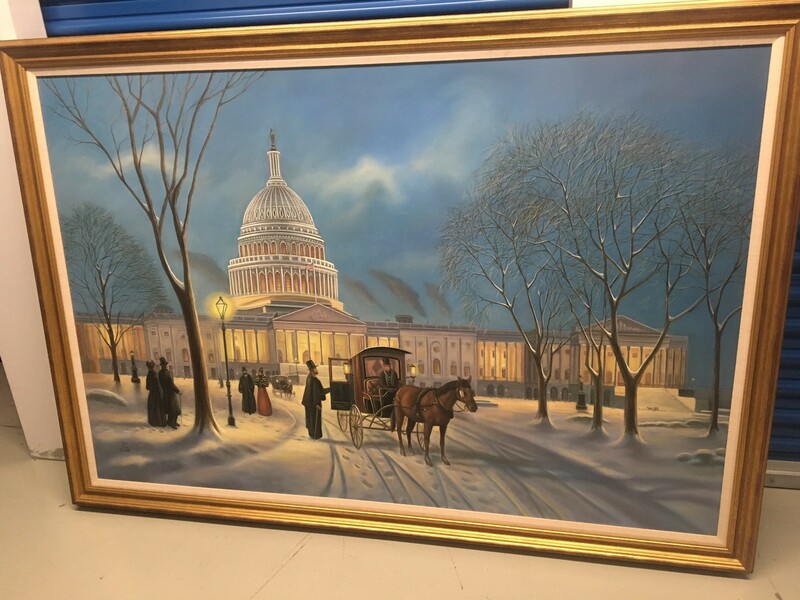 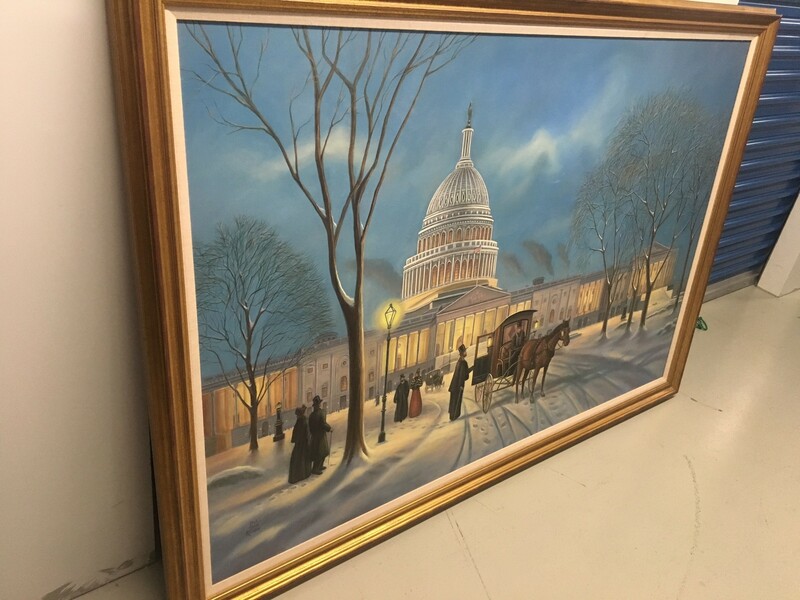 Framed painting of historic U.S. Capitol Building on a snowy day. 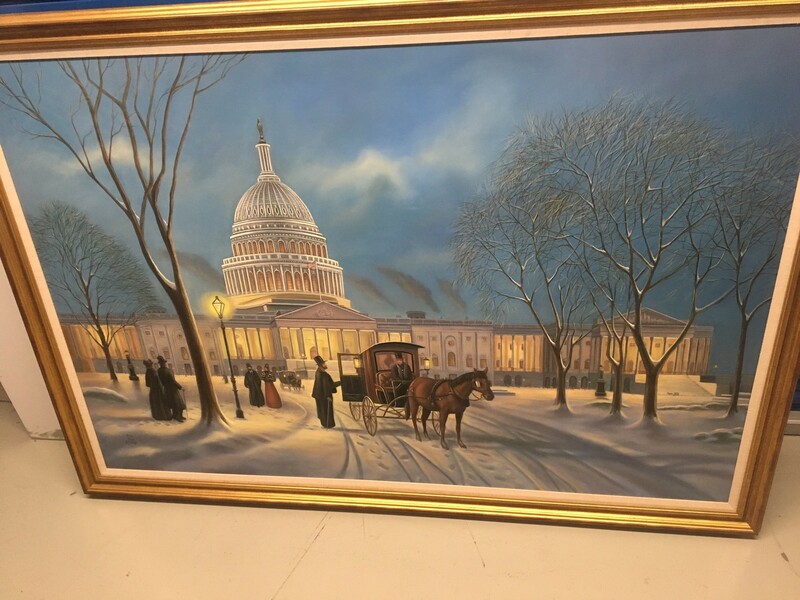 Excellent detail and condition. 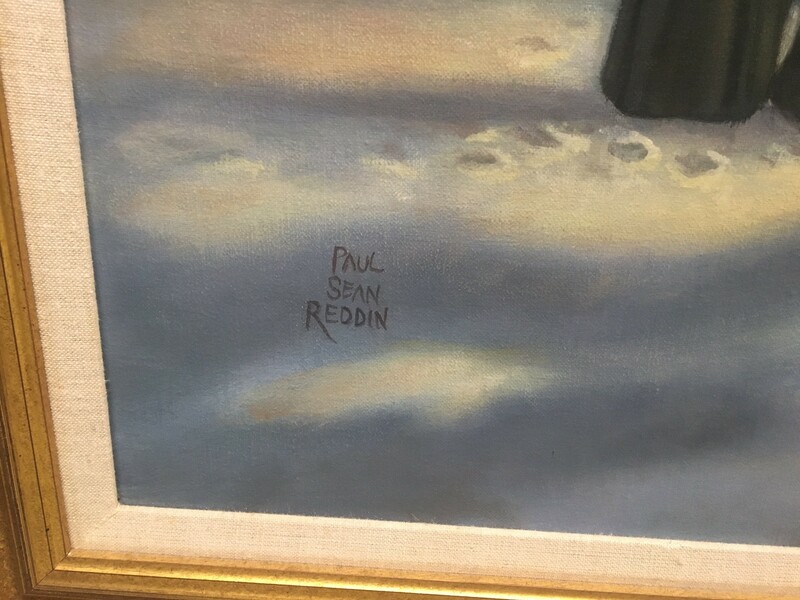 Pick up only in Gambrills, MD.